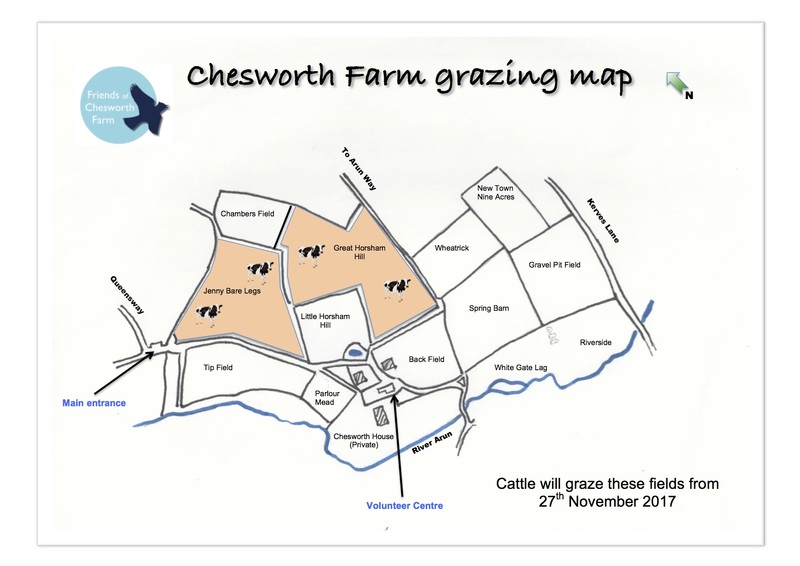 The cattle grazing schedule changes this week, from Monday 27 November. Look out for the cattle in Great Horsham Hill and Jenny Bare Legs fields for the next few weeks: this is confirmed by signs on the appropriate field access gates. See map below for details. If you have any enquiries or issues please contact Horsham District Council [Office hours: 01403 256890. Out of hours: 01403 215100. Email: parks@horsham.gov.uk].